The Locke family were long time owners of the old distillery at Kilbeggan and the distillery itself is still occasionally known as Locke's Distillery. This is the blend that made the distillery and the Locke family famous although it is obviously quite different to the whiskey made prior to the distillery's closure in 1953. The whiskey is vatted from double distilled malt and grain that have been aged carefully in the old Kilbeggan warehouses. This has a higher percentage of malt compared to other blended whiskeys and is one of the best in this price range. The palate has a pleasing sweetness and plenty of vanilla, toffee and honey flavours. A great introduction to the whiskeys from the Cooley disitillery. Palate Quite oily and full bodied. The palate has a pleasing sweetness and plenty of vanilla, toffee and honey flavours. Ingredients A slight touch of peat (Less than 2%) is added to the blend. A bit like adding salt to meat. Slightly more malt 30.3%. A light and soft blend that has now been discontinued. 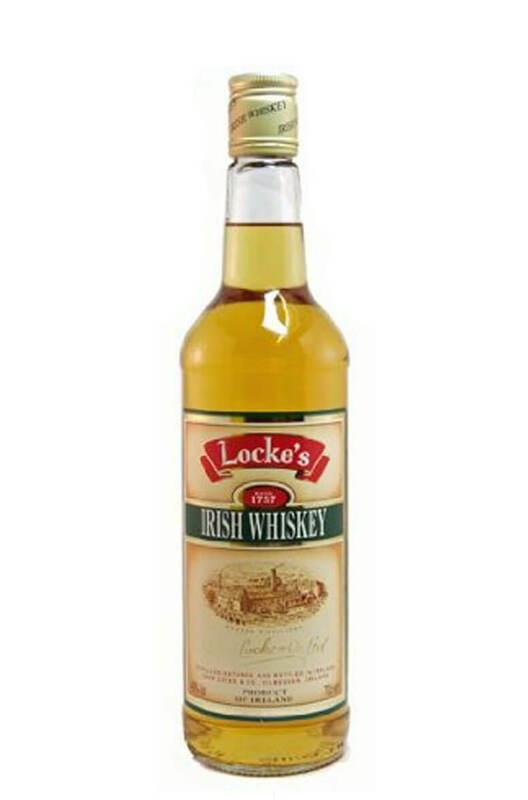 Unusually for an Irish blended whiskey this c..